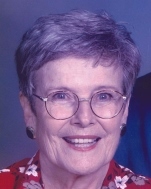 Reba Faye (Taylor) Gray, 88, of Duncan, Oklahoma passed away Friday, Sept. 14, 2018, in Duncan, surrounded by her family. A Graveside Service will be at 11:00am Monday, Sept. 17, 2018 at Resthaven Memorial Gardens, Duncan, with Rev. Randy Southerland officiating. Services are under the direction of Don Grantham Funeral Home, Duncan. The family will visit with friends at the funeral home Sunday, Sept. 16, 4:00 to 6:00pm. Reba Faye Taylor was born June 28, 1930 in Lawton, Oklahoma to Ava Cynthia (Puckett) and Homer Lee Taylor. She graduated from Central High School. Reba married the love of her life Paul Derrell Gray Sr. on April 17, 1949 in Duncan. Reba worked as a bank teller and officer for First National Bank in Duncan for over 25 years. She also worked as a travel agent for over 10 years with Travel Planners in Duncan and was able to travel to places she had only dreamed of before. Reba was a member of New Hope Baptist Church West. Prior to that she was a member of and taught Sunday School at Immanuel Baptist Church. Reba was a very devoted wife, mother, grandmother and great-grandmother. Survivors include her sons, Steve Gray and his wife Page, Mark Gray and his wife Diane and Mike Gray and his wife Shelly, all of Duncan, and a daughter-in-law, Rosa Gray of Enid, Oklahoma; a brother and his wife, Homer and Lucille Taylor, of Lawton, Oklahoma; her grandchildren: Dianna Kinsey and spouse James of Norman, Oklahoma, Sarah Brown and spouse Rusty of McKinney, Texas, Becky Evatt and spouse Kent of Enid, Melissa Bishop and spouse Michael of Duncan and Justin Gray and spouse Dr. Shyvonne Gray of Edmond, Oklahoma; great-grandchildren: Maegan and Molly Bishop, Kyra Brooke, Sterling Gray, Mercedes Gray, Mikaela Ross, Hannah, Mallorie, Ava and Jeffrey Brown, Holly, Bree, Jay and Cy Evatt; and other loving family members. Reba was preceded in death by her parents; her husband, Paul D. Gray Sr.; a son, Paul Derrell Gray Jr.; a brother, Harold Taylor; and two sisters, Janette Chasteen and Nora Davis.